When everything starts spinning out of control . . .
Three years into college, Tressa Oliver’s life is a nonstop party. She’s skating by in her classes, and there’s no shortage of drinking, dancing, and general hell-raising. The only aspect that hasn’t been much fun: She can’t shake the toxic jerks that always seem to gravitate toward her. Why am I waiting? I love Tiffany books and this series in particular has been a favorite. Reading it soon. That's what we're waiting on this week! What do you think? What are you waiting on? Leave us a comment! Contradictions looks pretty good- love that the boy is a goody-goody in this one. 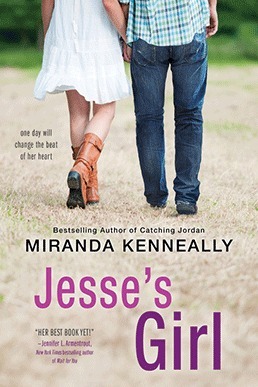 Jesse's Girl seems like a fun light read. That puppy is just too cute, I love it. I need to catch up on my TBR stacks, but the new books keep calling to me! Thanks for the recommendations & Happy New Year!